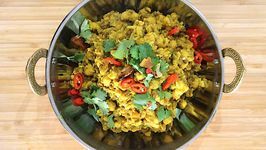 There are so many ways to make a dhal. The combinations of lentils and spices make every recipe unique. 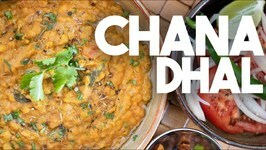 I love Chana dhal but always had to remember to soak it in advance. Learn how to make Palak Dal at home with Chef Varun Inamdar on Rajshri Food. 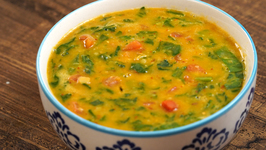 Palak Dal or Dal Palak is a simple lentil curry with spinach. 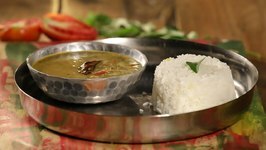 Learn how to make Dal Bati Churma at home with chef Varun Inamdar on Rajshri Food. Dal Bati Churma is a Rajasthani famous Vegetarian Main Course Recipe. The Mughals made use of all kinds of dals available to them to prepare mouthwatering dishes such as this one. 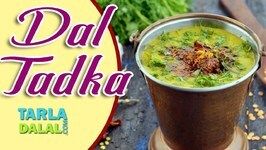 The Dal Tadka is a regular feature for most of us while eating out at a Punjabi restaurant. 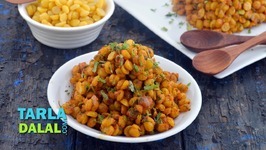 However few of us realize that this dish can be prepared with ease in your ..
Fried Chana Dal is a common, time-tested namkeen that nobody tires of! 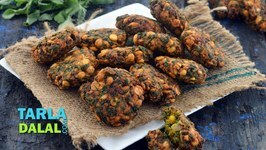 The crispiness of the deep-fried chana dal together with the chatpata seasoning makes it a great .. Learn how to make authentic Goan Dal at home from our Chef Smita only on Rajshri Food. Goan Dal is the most basic and most loved dish in Konkan cuisine. Learn how to make authentic Bhaja Muger Dal popularly known as Bengali Moong Dal at home from our Chef Smita only on Rajshri Food. 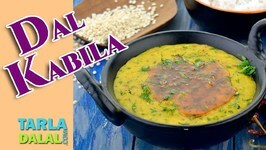 Learn How To Make Dhabewali Dal on Get Curried. 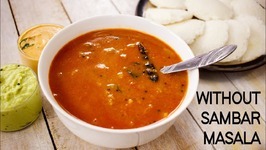 Dal is most commonly cooked everywhere in India. 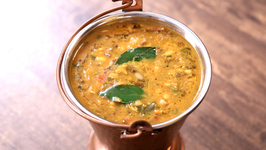 But the style of cooking dal is always different and varies from place to place. Planning to cook? Then why not today. 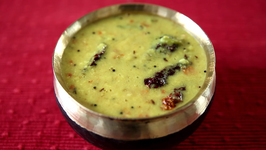 This super simple 'Lasooni Moong Dal' recipe is for all the kitchen virgins out there. Learn how to make authentic spicy Misal Pav recipe at home from our chef Archana on Ruchkar Mejwani. 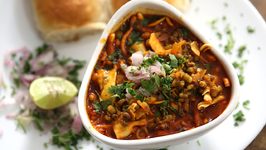 Misal Pav is a popular Maharashtrian street food recipe loved by all .. The famous south Indian snack becomes unrecognisable in its new tava-cooked avatar! We have modified the traditional, deep-fried Masala Vadai recipe by adding iron and ..
Keerai Vadai is one of the most popular South Indian evening snacks, enjoyed with a hot cup of filter coffee. 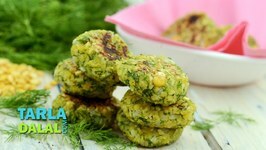 It is a crispy dal vada, perked up with chopped amaranth leaves. When we usually think of using chana dal in the menu, we make it into a thick, soupy dal, perked up with different flavours. 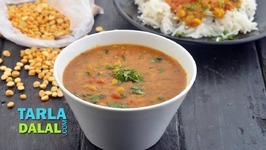 For a change, try this Dry Chana Dal recipe. 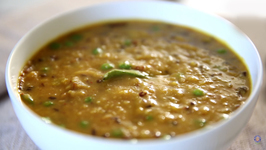 Dhal is an Indian staple dish that is comforting, nutritious and appetising! A food story that will make all of you think twice about the love every mother has for her kids. The favorite delicacy of Madhya Pradesh- Dal Bafla is best described .. 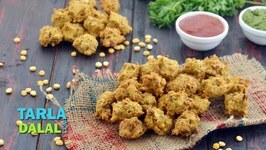 Instead of using besan, this unusual bhajiya is made with a mixture of soaked and ground chana dal flavoured with crunchy onions, pungent garlic, fiery green chillies, .. 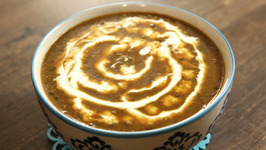 Learn how to make authentic North Indian style Dal Makhani at home with Neelam only on Get Curried. Dal Makhani is one of the most popular dal recipes of India along ..
Chana dhal is high in fiber and is low in cholesterol and really good for you. There are lots of other health benefits, just google it and be amazed. 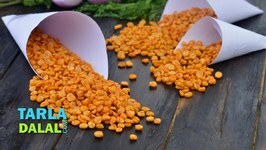 Nourishing and tasty, the Basic Chana Dal is a wonderful accompaniment to rice and Indian breads like rotis or phulkas. Surti Sev Khamni a popular savory street food from Surat in Gujarat where I grew up. Sev Khamni is traditionally made from Khaman and also known as Amiri Khaman. Chhuta Moong Dal, is perfect for a week night dinner as this recipe is simple, quick and light on your tummy. 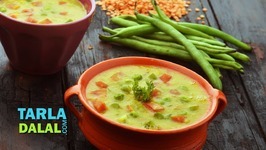 Masala Masoor Dal with Mixed Vegetables is like a Dal and Subzi combined into one tasty treat! 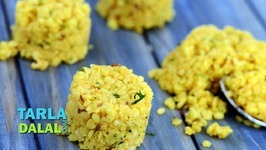 Masoor Dal is combined with a traditional tempering, an assortment of spice .. In this video, we will make a recipe of Sambar, this is a very different recipe from what we eat in the North, or make at home.